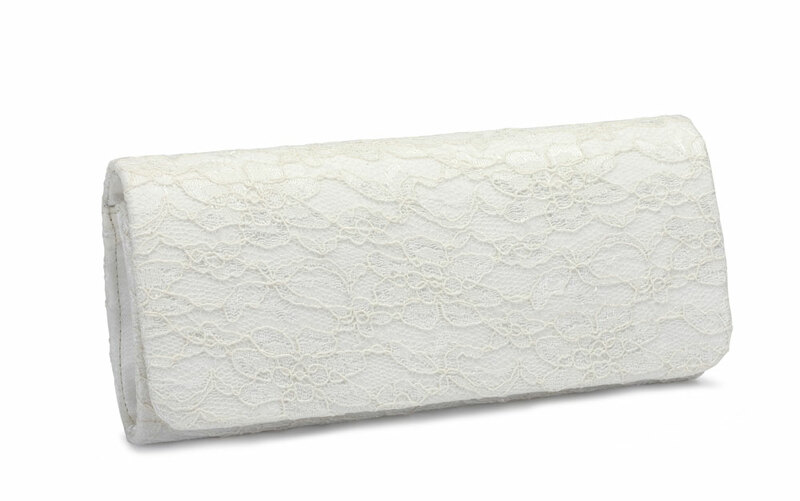 The perfect partner for all the Paradox Pink lace bridal shoes, this lovely lace clutch bag is neat and elegant and has an optional chain strap. It's just the right size too: big enough to hold a few necessary items yet small enough to remain dainty in your hands. It's fully dyeable too, and looks simply stunning when dyed as the shiny satin and delicate lace overlay take on slightly different tones. A beautiful and versatile handbag. Click the button below to add the Paradox Pink Crimson Ivory Lace Dyeable Handbag to your wish list.